One of the biggest misconceptions in real estate amongst the general public is the notion that the entirety of the real estate market moves in perfect unison; that somehow what happens in Guelph will happen in Kitchener, or Toronto, or Quebec City, or Yellowknife. 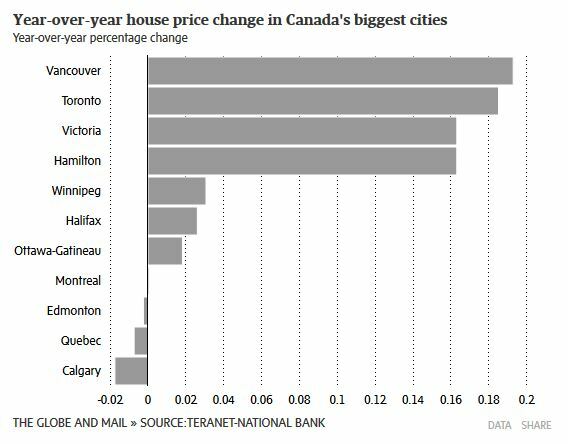 Nothing can be less descriptive than a phrase such as, “Canadian Real Estate Values Are Up”, and yet, we hear and read them all the time. Very few markets across the country are mirroring each other, and every single one has its own appeals and detractors, unique to themselves. Even here, locally, the listings stock, price trends, speed of sales & housing mix is similar but not identical between Guelph, K-W, Cambridge & Milton. When assessing a real estate decision, it’s important then to understand the nuances of your local market & not just browse the headlines of the Globe and Mail (although their real estate section is a tremendous resource for major markets & national news). The best way to do that is to consult a Realtor. Realtors make it their business to understand not just what the local trends are, but what factors contribute to them and spur them on. They’re more in touch with current conditions from seeing them on a daily basis, rather than reporting on them from afar. Pay attention to these microcosms, they can make all the difference. For example, Canadian real estate is way up this year, but much of the growth is driven by Toronto & Southwesten Ontario. So before engage your friend from Calgary in a conversation about how great your investments are doing, understand that not everyone is in the same boat.